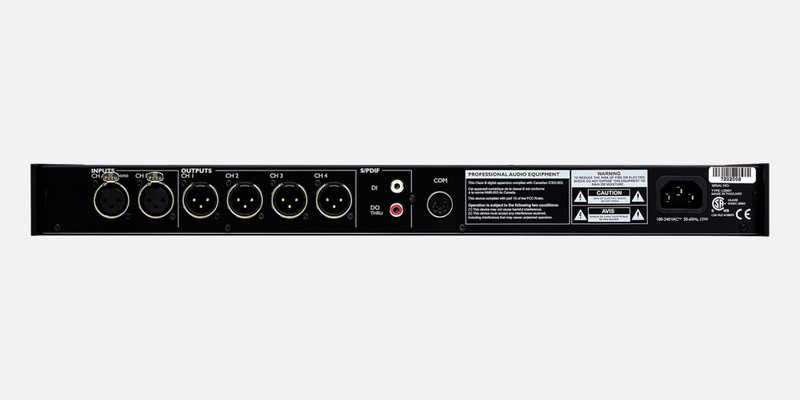 The XO24 crossover and digital speaker management controller is intended for use in live sound systems where multiple arrays of speakers require frequency separated input signals as well as audio conditioning such as EQ, alignment delay, limiting and/or room compensation. The XO24 can be used in mono or stereo and with two balanced 3-pin XLR inputs and four balanced 3-pin XLR outputs, 2-way, 3-way, and 4-way crossovers can be achieved, with Butterworth, Bessel and Linkwitz Riley type filters available. Factory presets offer the user complete settings or 'excellent starting points'. A dedicated four-band parametric equaliser on each output gives the option of fine-tuning to suit the speakers; speaker alignment delays of up to 200ms can be implemented for larger or more complex speaker arrays. 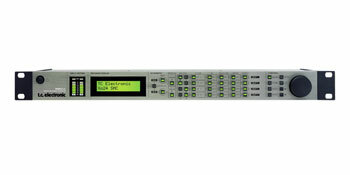 XO24 also accepts digital inputs at either 44.1 or 48 kHz and processes with 24-bit conversion. The front panel of the 1U rack-mounting crossover has channel A and B input meters with clip indicators, a 2x15 character LC display and all user controls, which with the exception of a large rotary scroll control are in the form of small buttons with green LEDs that illuminate when active. 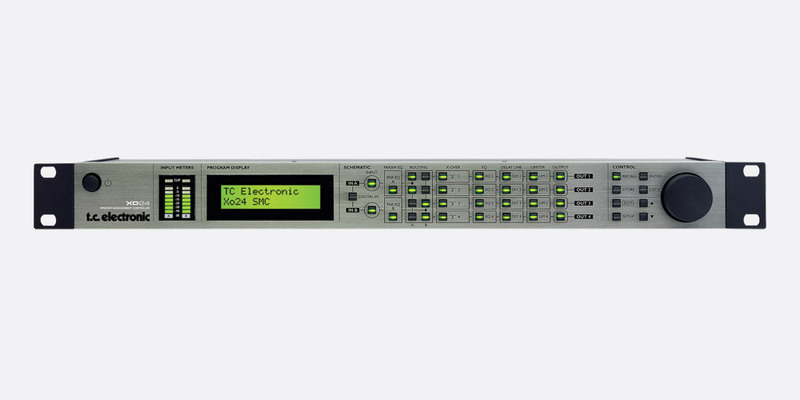 These buttons give access to digital in selection, routing, and parametric EQ for channels A and B, crossover routing configuration, and EQ, delay and limiting for each of the four output channels. Each channel can also be switched on and off using dedicated buttons with LED indicators. Other buttons are used to recall, store, edit, setup, and navigate the menu. The rear panel houses all I/O connectivity with 2x balanced 3-pin XLR inputs, 4x balanced 3-pin XLR outputs, S/PDIF In/Thru on RCA (phono), COM port, and AC mains IEC power inlet. The COM port is used for data transfer, and has with 'No user application'. Analogue inputs: 2x balanced 3-pin XLR, 21k ohms balanced, 13k ohms unbalanced. Analogue outputs: 4x balanced 3-pin XLR, 40 ohms balanced, 20 ohms unbalanced. Digital inputs and Thru: RCA (phono), S/PDIF. Sample rates: 44.1kHz, 48kHz. Power source: 100-240V AC, 50-60Hz, less than 15W. Dimensions (WxHxD): 483 x 44 x 105.6mm. Weight: 1.5kg.